I publish personal testimonies. I also create links to articles on the Web that I think are practical. These are real-world articles written by people who have escaped the debt trap. As you read these articles, jot down any tip that you think will help you get a grip on your spending. These minor adjustments add up, just as overlooking minor bad habits add up. Try to find one tip per week that you actually deploy. That may not sound like enough tips, but it is if you actually deploy them. Deployment is the hard part. The creator of this site is Gary North. Why should you care? Gary North is the author of about 50 volumes of books. Most of these books deal with biblical economics. His series, An Economic Commentary on the Bible, includes commentaries on Genesis, Exodus (3 vols. ), Leviticus (4 vols. ), Numbers, Deuteronomy (4 vols. ), Psalms, Proverbs, Ecclesiastes, the prophets, Matthew, Luke, Acts, Romans, I Corinthians, I Timothy, and the other epistles. The few chapters on Revelation appear in the volume on the epistles. These are posted in the section on Free Materials. Most of his other books are also available in Free Materials. He has written the financial newsletter, Remnant Review, since 1974. He writes the twice-weekly eletter, Gary North’s Reality Check. It is available free of charge here: http://dailyreckoning.com/get-reality. He has written in dozens of magazines and newspapers, including The Wall Street Journal, The Commercial and Financial Chronicle, The Freeman, Coin Age, The Journal of Political Economy, National Review, The American Spectator, The New York Times. He has written over 700 articles for LewRockwell.com. In 1976, he served as the research assistant for the newly elected Texas Congressman, Dr. Ron Paul. He was therefore “Dr. No’s” Dr. No. He received his Ph.D. in history from the University of California, Riverside, in 1972. Please use your own ID when posting to the discussion forums. Do not impersonate anyone else. THIS SITE PROVIDES THE INFORMATION, SERVICES AND PRODUCTS ON THIS WEBSITE “AS IS” WITHOUT WARRANTIES OF ANY KIND. YOU ALSO AGREE THAT THIS SITE SHALL NOT BE RESPONSIBLE FOR ANY CONTENT FOUND ON THE THIS SITE’S FORUMS AND THAT YOUR USE OF THIS SITE FORUMS AND ANY DOWNLOADING OF MATERIALS FOUND ON OR THROUGHOUT THE THIS SITE FORUMS IS DONE AT YOUR OWN RISK AND THAT YOU WILL BE SOLELY RESPONSIBLE FOR ANY DAMAGES TO YOUR COMPUTER OR DATA THAT RESULTS. I appreciate your decision to volunteer time in order to help people who are in real trouble financially. For someone to get out of debt, there are only three reliable ways: increase income, cut costs, or both. (Debt forgiveness is a long shot.) This is simple. Doing it is difficult. I recommend all three. Some people should take second jobs for a time. I don’t suggest this as a permanent solution. Everyone in debt should cut expenses. A few people must do both. There are debates over which debts to pay off first. Some people say the debts with the highest interest rate. This is called the avalanche strategy. Others say pay off the smallest debts first. This creates positive feedback: victory! It’s called the snowball strategy. This is Dave Ramsey’s recommended strategy. I say pay off God first. Tithe 10% of your pre-tax income to your local church. 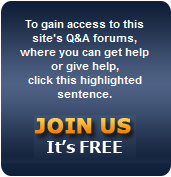 This site is aimed at Christians. This is their minimal responsibility. I call this the pay God first strategy. I have written a book on the tithe. It is at the typesetters. Here is the manuscript. Tithing forces people to learn to budget. Those who tithe from an early age get used to the idea that they must not spend money that they do not own. They find it easier to adopt the mentality of thrift. If a family is deep in debt, then the interest payments cut into their money available for tithing. The justification for paying off debt first is that they can start tithing sooner. But will people really do this? If they take a vow and fulfill it, fine. But it is easy to take a vow and then not keep it — a forbidden practice (Numbers 30). It is safer to pay the tithe first. When a family is finally tithing, then it should pay off highest interest rate debt second. Choose the avalanche strategy. Some counselors say that people should accumulate a savings account before they pay off debt. I don’t. Use post-tithe disposable income to pay off debt. No more luxuries. No more waste. Not even a savings program. Consumer interest rates are so high that almost nobody can earn more money after taxes and tithe to offset the effect of high interest payments. I don’t want half-hearted measures. I am not interested in counseling people who are sort of interested in testing a debt-reduction program. I counsel people who are fanatically committed to getting out of debt. Alcoholics Anonymous teaches that halfway measures don’t work. The alcoholic must give up booze 100%. That’s what I tell debt junkies: get out of debt. I want to deal with people at the end of their financial ropes. They are close to the end of their spiritual ropes. They do not need halfway measures. They need deliverance from debt. If they want halfway measures, they can wait, get deeper in debt, get even more desperate, and return to this site. This site is the end of the road. It is not a halfway house. Your #1 goal should be to show them how to cut their spending. Help them budget. Help them shop more effectively. Help them stick with the program. Keep them away from the scam artists. Here is the FTC report on this. Don’t offer advice on the details of declaring bankruptcy. Always refer them to a lawyer. Be sure to remind them of this verse: “The wicked borroweth, and payeth not again” (Psalm 37:21a).